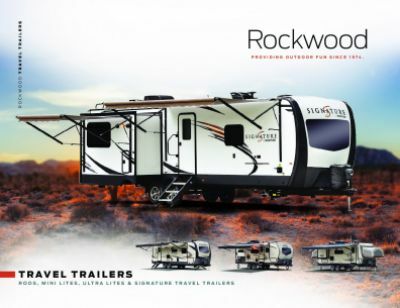 Get the best out of your camping trips with the 2019 Forest River Rockwood Roo 23IKSS! At All Seasons RV, you can obtain fast and easy financing options on all RV models. That's what makes us one of the top RV dealerships in Michigan! Stop by 4701 Airline Rd Muskegon Michigan 49444 to step into this Hybrid Trailer, or call us at 231-739-5269 to get more information today! The Forest River Rockwood Roo 23IKSS is built for years of fun. It's easily towable with its hitch weight of 684 lbs. and GVWR of 6684 lbs! The 19' 0" foot patio awning will provide shade and protection from sun and rain! You go to the bathroom several times a day, so wouldn't you want it to be close by, private, and comfortable? 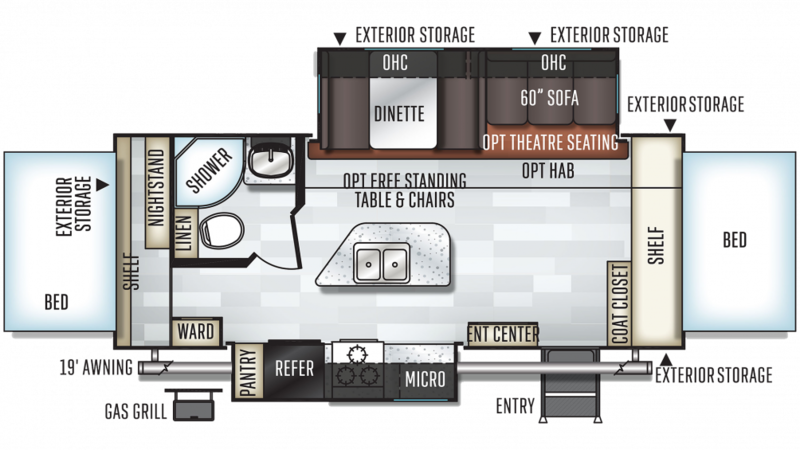 You'll get all that with the full bathroom in this RV, complete with a Foot Flush toilet and a roomy shower! With 40 lbs. of LP tank capacity, you'll enjoy hot, steamy showers every morning on your vacation! The 30 gallon gray water tank and the 30 gallon black water tank help you avoid dealing with waste and used water while you're having fun on the campground!